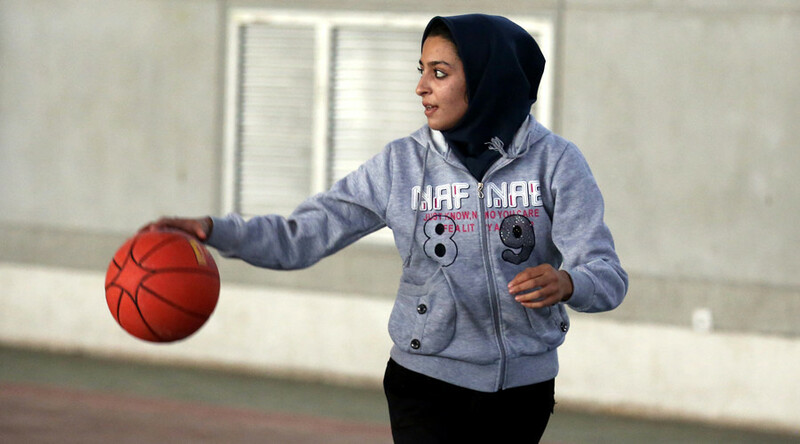 The International Basketball Federation (FIBA) has changed its rules regarding religious headgear, allowing for the wearing of hijabs during games. The FIBA Central Board made amendments to previous rules on headgear at a first-ever meeting of the federation’s mid-term congress on Thursday. The changes will come into effect as of October 1. “The new rule comes as a result of the fact that traditional dress codes in some countries - which called for the head and/or entire body being covered - were incompatible with FIBA's previous headgear rule,” the statement reads. Under the conditions of the new ruling, headgear is allowed when it is black or white, or of the same dominant color as that of the uniform. It must be the same color for all players on the team, as with all accessories, and have no opening or closing elements around the face or neck, as well as no extruding parts. Headgear covering any part of the face entirely or partially, or that is dangerous to players, will be banned. The topic of headgear in professional sport has raised significant debate in the past. In February, Iran banned 18-year-old chess grandmaster Dorsa Derakhshani from competing for the national chess team for not wearing a hijab – obligatory dress for women under Iranian law. Derakhshani was expelled for not covering her hair while competing as an independent player in the 2017 Tradewise Gibraltar Chess Festival. At the same tournament, her 15-year-old brother Borna was expelled from the national team for playing against an Israeli player. Then in April, female Iranian soccer player Shiva Amini was dropped from the Islamic republic’s national team for not wearing a hijab in a friendly match during an exhibition tour of Switzerland and Italy alongside male players. Nevertheless, FIBA stated that a test game in Iran featuring women wearing hijabs was “a historical moment” as it marked the first time men in the country witnessed a women's sporting event in person. The hijab has been compulsory wear for women in Iran since the Islamic revolution in the country in 1979.